who love an excellent recording! there will be squeezing and plucking! there will be SPECIAL GUESTS! 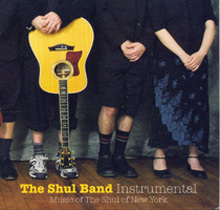 The band PHP just released their debut album “HODU” with Sameach music. Check out PHPJams.com The website features pictures, sound bites and there’s video to download. The band is not sure what PHP stands for, — but in analog-land it might be called a pretty hot platter. Miriam is Jerusalemite singer and song-writer, the descendant of a Hassidic family from Karlin who arrived from White Russia to Israel as early as 1846. ‘You ain’t goin no where’ sing-a-longs. Take the D train to 205th st. or the 4 train to Mosholu Parkway. Announcing the release of the new CD, “Midnight Prayer” by the Joel Rubin Ensemble. Clarinetist Rubin has long been considered to be one of the leading performers of Jewish instrumental klezmer music in the world today, earning accolades from sources as diverse as klezmer giants Dave Tarras and Max Epstein, international clarinet soloist Richard Stoltzman, avant garde composer John Zorn, and Nobel Prize Laureate and poet Roald Hoffmann. The ensemble also features Hungarian cimbalom virtuoso Kálmán Balogh, Italian accordion wizard Claudio Jacomucci and rising klezmer star violinist David Chernyavsky, as well as Ferenc Kovács (trumpet), Csaba Novák (bass), Sándor Budai (second violin) and Pete Rushefsky (tsimbl). BRAND-NEW solo CD, “The Great Pretender,” by Alexandria Kleztet. Remind me again…Rebecca Teplow in her 2004 CD “Prayers” has a great voice, nice arrangements…. now what else? Find out. Egypt, Central Africa, Turkey, Kurdistan and Greece. Leonid Levin and Trio have a new CD that features jazz arrangements of songs by Sholom Secunda, George Gershwin,and Jerome Kern, among others. It’s available through CD Baby. Dreams), Craig Wedren (from Shudder to Think), The Klezmatic’s Lorin Sklamberg and many others featured on the recording. Telecharge Website < http://www.telecharge.com/or by phone inside the NY metro area at (212) 239-6200 and outside the NY metro area at 1 (800) 432-7250. The CD includes a 24-page booklet with song lyrics in Yiddish, transliteration, and English translation. The booklet also includes songwriter bios and more. Budai (second violin) and Pete Rushefsky (tsimbl). Talia Applebaum will be performing in Har Nof in the home of Karen Pichel. All carrying messages based on Torah themes or verses. All resulting from a personal spiritual journey that can be shared by all. “Talia’s unique sound reveals deep spiritual dimensions within her voice. where she builds a warm rapport with her audience. In her CD SHALOM KIDS, she shares some of her favorite Shabbat melodies and familiar playsongs. Roberta serves as music specialist at various temples, day schools and community centers. Sound clips for the CD are available at CD Baby. Stephen Feldman/Poppa’s kitchen has put together a fun Hanukkah album in a pop rock format…! You can check out the cd at www.arockinhanukkah.com . On October 17, the Milken Archive of American Jewish Music released the 48th CD in its pioneering recording series that documents music related to the Jewish experience in America. Titled Psalms of Joy and Sorrow, this new disc reflects the varied responses of twelve 20th- and 21st-century composers to some of the most affecting and enduring of all biblical texts-the Psalms. Common to the liturgies, histories, and spirit of both Judaism and Christianity, the biblical Book of Psalms is one of the most widely familiar and most frequently quoted books of the Hebrew Bible. The Psalms’ sentiments and teachings, expressed in a singular blend of majestic grandeur and poignant simplicity, give them a uniquely universal resonance. ABOP performs at Stain Bar on Wed, Nov 1, 2006. 7-9pm. Admission is by donation at the event. 718-387-7840 | http://www.stainbar.com for more directions and information. lives and histories are intertwined on many levels. 21st century sensibilities and rhythms. The Milken Archive of American Jewish Music has released a CD of four works for the synagogue and the concert hall by German-born, American composer and organist Herman Berlinski. These works reflect his rich, post-Romantic musical language, eclectic musical style, and depth of Jewish inspiration. This new disc complements the Milken Archive’s 2004 release of the composer’s Avodat Shabbat, a large-scale setting of the Sabbath evening liturgy according to the American Reform prayerbook. It brings to 45 the number of recordings released since the Milken Archive CD series was launched in September 2003. A new CD by instrumentalists David Grisman and Andy Statman called ‘ New Shabbos Waltz ‘ is now available. CD, “Songs of Our Fathers.” This is the first release they’ve done together since then of a CD of Jewish Music. music called Eleven Doors Open. The site is located at http://www.suehorowitz.com . At long last the music of Hazzan Israel Alter is available on CD. Lois Welber recently released her cantorial CD, “Prayers of the High Holy Days: Shomeah Tefillah”. (Shomeah Tefillah – “…Who hears prayer” from Hineni) featuring the music of Hazzan Israel Alter. The CD focuses on music from “The High Holy Day Service” and “The Selichot Service” published by the Cantors Assembly. The original musical accompaniment is arranged by organist/composer Ernest Rakhlin and with pianist David Sparr. There is also one song included by Israel Goldfarb, “B’Sefer Chayim” (from Shirei T’shuvah –991900), which score is available through Transcontinental Music Publications. Rabbi Yehuda Henkin from Jerusalem sent a copy of his new CD, Shirei Nefesh Yehuda, to JMWC. All the music is composed by Rabbi Henkin and sung by Yaron Bar. The rabbi has produced an album of singable and pleasant religious melodies with nice arrangements. Contact information is Henkin@012.net.il and FAX (02) 652-1473. The Milken Archive of American Jewish Music has released another CD. This one is “The Art of Yiddish Song” with 32 songs by Lazare Weiner. [8.559443]. You can read a complete discription released by the Milken Archive about the recording. Often referred to as “America’s Jewish Schubert”, Weiner’s exquisite songs are a pinnacle of Yiddish art song (lider). This recording shows his mastery of craftsmanship, connection to the language, and complete immersion in the depths of meaning in Jewish culture. 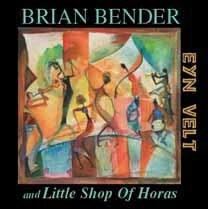 The performers are top drawer, and so the recording is a “must” for anyone interested in Yiddish art music, or generally in good lieder. and walking through the Jewish quarter in Cordoba, Liderman was inspired to write these works. Alexander Zemlinsky is one of those ‘lesser known’ composers who fled Nazi Germany for the US in the 1930s. Recently there has been a sort of revival of sorts with a book by Anthony Beaumont a few years ago, several concert series about Austrian ’emigre’ composers, and a CD set of Songs of Zemlinsky sung by Hermine Haselbock.To hear samples, go to Haselboeck’s site and click on “Zemlinsky CD”. Valeria Fubini Ventura, voice, Anna Barbero, piano, have released a CD of classical Israeli music on the Italian label http://www.ludomentis.it/eng/chi_eng.htmlLudomentis. Recorded in the Church of S. Apollinare in Monticello di Lonigo (VI) near Vicenza, the recording has a collection of Israeli composers whose “musical horizon is tied to European national school of the end of the nineteenth century.” Also included are selections by Ravel and Milhaud. ethnomusicologists Joel Rubin and Rita Ottens . “Shalom Comrade” and other productions of the Jewish Music Series are distributed by Harmonia Mundi USA. for the Debut of his CD Le’Shem Shamayim: For Heaven¹s Sake on Sameach Music. This Saturday nite Shabbas Shirah Spectacular Saturday, Feb. 11, 8:00 p.m.
appearing with ONEG Shemesh –Founding Moshav Band member and his CD Bring Us Together. The Austin Klezmorim have a new CD, Bubba’s Waltz, and it combines “traditional” klezmer with some American jazz favorites. To hear some samples, http://www.bamusic.net/bubbaswaltz.htm . Bill Averbach did a lot of the arrangements. This band is one that definitely goes to its own, sweet beat. The Ramaz Chorus of the New York under the direction of Caroll Goldberg recorded songs on Yom Yerushalayim in 2001. Title of the CD is Yesterday-Today-Tomorrow. If your Jewish day school is looking for material that is attractive, uplifting, and sounds good both to you and teens, you may want to take a listen to this recording to see what kids can do. Caroll Goldberg also has a book L’yisrael Mizmor, that has “selections with melody line, chords, two and three part settings suitable for amateur as well as professional chorus, texts, transliterations and translations, discography, curriculum guide, amd bibliography.” Availble through www.jewishmusic.com. Laurie Sucher sings in the Chciago area as a seasoned cabaret, Yiddish singer and cantorial soloist. Laurie grew up in a Yiddish speaking home in New York, so she’s quite familiar with the language– and the songs on this CD show that familiarity.The CD is a mix of music recorded a few years ago live at Chicago’s Harold Washington Library Theater and studio takes. Also included on the collection are a number of Ladino Songs. The CD is available through CD Baby. Emil Skobeloff, serving as a cantor of Congreation Ohev Shalom in Wallingford, PA sends a CD dedicated to his son Jonah. It’s a private publication produced with the help of studio musician Pete Huttlinger, who has played on Grammy nominated projects and is a veteran Nashville session player. It shows. The arrangements and instrumentation are professional. The repertoire are all standards of Yiddish, Ladino and Hebrew such as Eli Eli and Quando El Rei Nimrod and My Yiddishe Mama. Contact the cantor at: 225 South Chester Road, Ste. 5, Swarthmore, PA 19081 about obtaining copies. The Alexandria Kleztet announces the release of their new CD “Close Enough for Klezmer”. Samples and purchase info on their website at http://www.kleztet.com/. Frank London is interviewed for World Music Central about the new album Frank London’s Klezmer Brass All Stars. Carnival Conspiracy: In the Marketplace All Is Subterfuge. The album is available, of course, through amazon. Jewish String Quartets by Darius Milhaud, Sholom Secunda, John Zorn, Ruth Schonthal and Abraham Wolf Binder on Naxos American Classics. is a unique collection of Judaically inspired, 20th-century string quartets. Written by five highly individual and stylistically diverse composers, this latest CD features the imaginative intersection of Jewish melodies, motifs or historical sensibilities with one of the cornerstone genres of the Western musical canon, the string quartet. This intimate medium has historically been a prism for a composer’s most personal musical statements, and that tradition is upheld in the pieces heard on this new disc. brings the face of cutting-edge mainstream pop to today’s Jewish music.” The track list contains — heimish, liturgical-oriented classics like Shalom Aleichem, Bilvavi, and Acheinu — but a good portion of the music features sounds typically from the forefront of modern pop, rock and R and B. Seven songs are revamped covers; seven are Boxer’s own original material. Sarah Nadav has a new blog with some audio clips, links to some of the hip hop music, jewlicious, and a lot more. She seems to be linking to the newest and coolest. Sarah’s been writing her own music and has a CD Sarah Dahlia. available at CD baby and elsewhere. www.sefaradrecords.com, on February 9th, 2006. Sephardic and Middle Eastern traditions, as well as original songs by Gerard Edery. Musica Judaica is a twenty CDs containing the music written from 1933 (when camps such as Dachau and Börgermoor were opened) to 1945 in all concentration, internment, extermination and POW camps, both of the Axis’ and Allies’ countries. It is the result of a 10-year, huge historical and musicological work by the Italian pianist and conductor Francesco Lotoro. For those interested in obtaining music from the Jews of Turkey or the Judeo-Sufi connection, the Kalan music website at http://www.kalan.com carries several recordings of Jewish music interest. Recordings such as Jewish religious music, in the Turkish Jewish traditions, Rabbi Isaac Algazisinging Ottomon Jewish music, or such as or Janet and Jak Esim Antik Bir Huzun Judeo-Espanyol Ezgiler folk music are just a few examples. The JMWC has no experience in purchaing items from this website. Yerachmiel “Rocky” Ziegler has released his debut CD A’Hava V’Achva. Mixing up hasidic, rock, folk, klezmer and bluegrass, he’s on the H and H circuit in NY’s meeting place between Williamsburg and Greenpoint. Check out the website: www.yerachmiel.com and you’ll hear some of the unique sounds from the new blending of Jewish cultures. Rabbi David Zeller has released a CD of music for children and adults entitled “Goodnight My Sweetest Children”. Surie of Morah Music in Brooklyn, NY has produced a new double CD and Songbook ‘Around The Year’ for women & children. You may check it out at the website www.morahmusic.com where you can listen to some of her songs. The lyrics in Hebrew and English. Jewish gospel singer named Joshua Nelson. Jewish identity, Black identity, and human identity. A great article by Elliott Simon on the website all about jazz reviews “music from the winery” album. It’s really something of a “best of” album from the Tonic Sunday brunch concert series… lots of amazing performers included. Here’s the review http://www.allaboutjazz.com/php/article.php?id=16019.